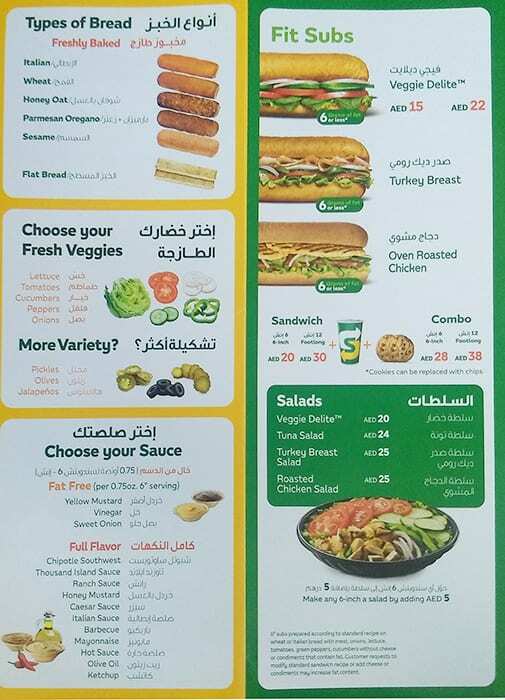 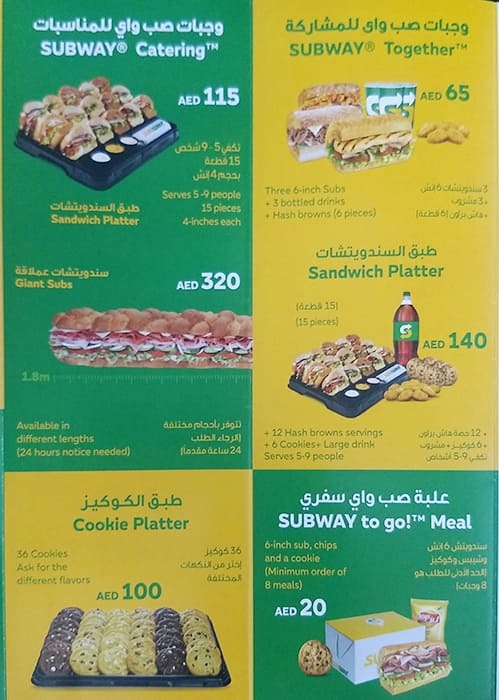 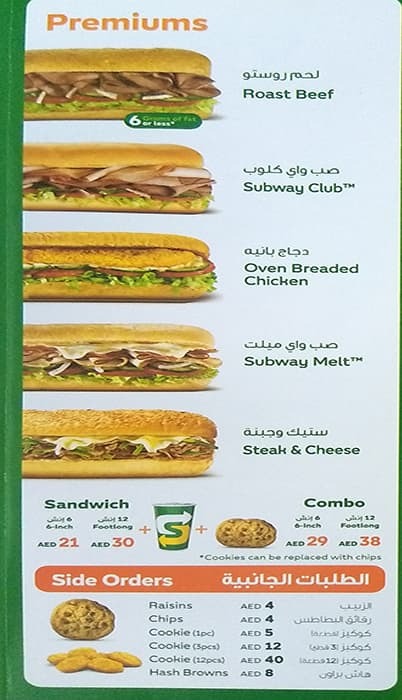 Subway menu features sandwiches with 6 grams of fat or less*. 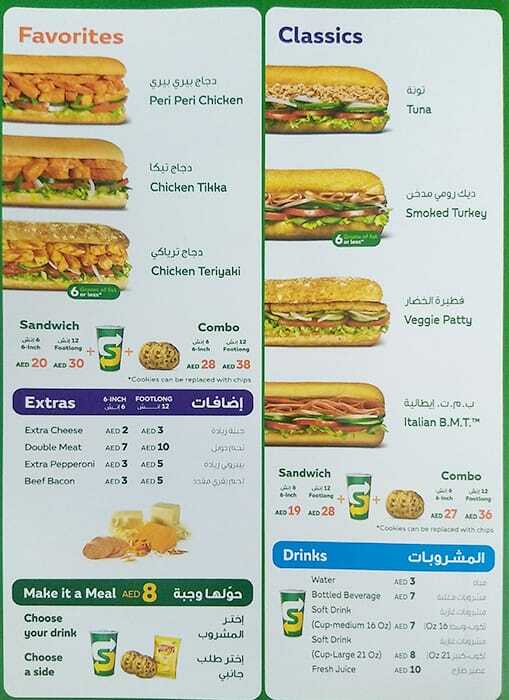 The chain’s gourmet-inspired 'selects' line of sandwiches features exclusively prepared sauces, which can be used to complement any sandwich on the menu. 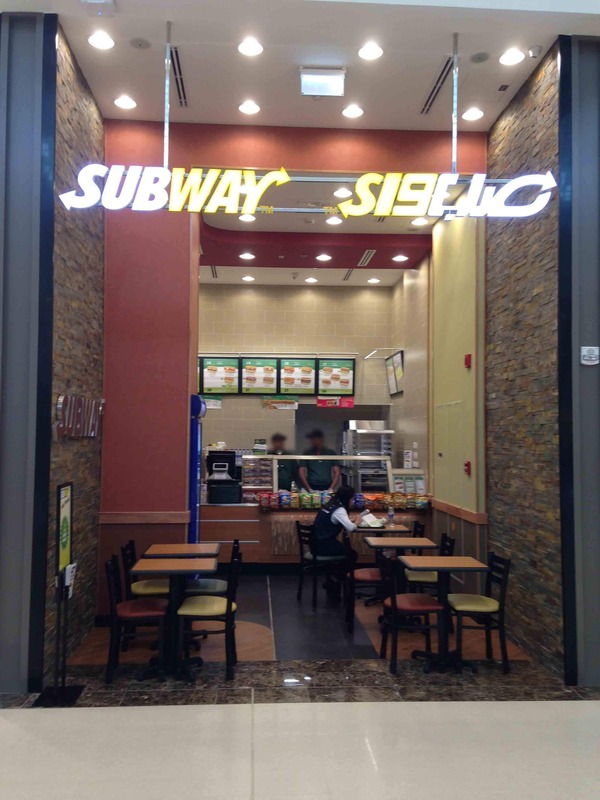 Located in the Food Court.